Looking for an internet provider? Below is a list of internet service providers in Grey County. Contact them to find out if service is available in your area. Please note, Grey County does not specifically endorse or recommend any of the companies listed below.  This autumn, Grey County staff submitted an application to the New Building Canada – Small Communities Fund requesting funding from the provincial and federal governments in application to invest in a $10.5 million broadband project titled the GREAT Network. Grey County is committing $1 million to the plan and is requesting $3.5 million from both the federal and provincial governments. The proposal also calls for an additional $2.5 million investment from private sector internet providers to build fibre-optic infrastructure throughout Grey County over the next five years. The GREAT Network will align with the Western Ontario Wardens’ Caucus’ SouthWest Integrated Fibre Technology (SWIFT) Network project. In addition to the $1 million committed to building the physical infrastructure, an additional $50,000 from reserve will be used to hire resources to create a plan to best leverage local and broader investment and ensure that broadband is deployed quickly, efficiently and effectively throughout Grey County. “The Small Communities will be used to accelerate the broader SWIFT investment right here in Grey County, making us a regional leader for extending broadband to rural communities,” said Grey County Director of IT and SWIFT project technical lead Geoff Hogan. Grey County has been a critical champion and leader for the Western Ontario Wardens’ Caucus’ - SouthWest Integrated Fibre Technology (SWIFT) Network initiative, which will build an ultra high-speed fibre optic regional broadband network for everyone in Western Ontario. Based on the premise that, regardless of the size of your community, your age, education, or where you work, you deserve access to high-speed broadband, SWIFT will built an open access network that will provide up to 1 Gbps service for under $100/month (target). With transparent, publically published rates, SWIFT will be a self-sustaining network that will promote greater competition, better services, more choices and lower prices – and expand fibre connectivity to everyone. To learn more about SWIFT, please visit www.swiftnetwork.ca. In 2008, Grey County recognized that many of its rural residents and businesses were underserved by affordable high speed Internet. The County pursued and was successful in securing two intakes of the Rural Connections program - leading the way as one of only 15 municipalities to receive funding for broadband infrastructure through the Province of Ontario’s Rural Connections Program (The Ontario Municipal Rural Broadband Partnership), a $30 million, four-year initiative designed to reduce broadband infrastructure gaps in underserved rural regions in southern Ontario. Leveraging funding from the Rural Connections Program (The Ontario Municipal Rural Broadband Partnership) and focusing investment from the private sector, the County dramatically increased the level of broadband availability from less than 25% in some areas to greater than 75% in most parts of the region.